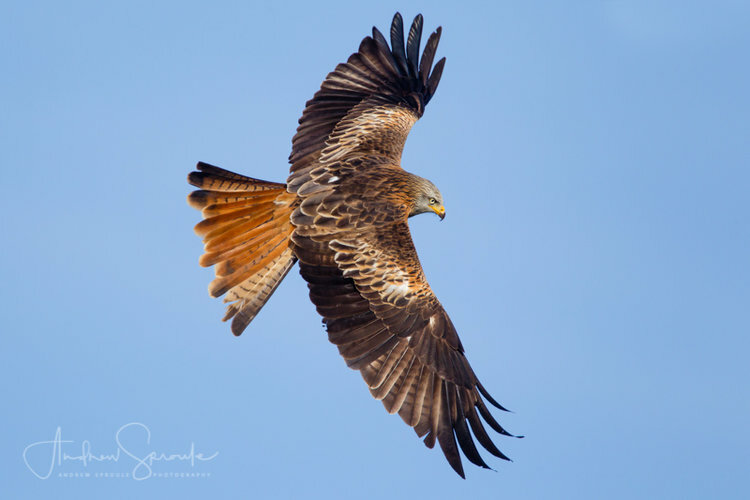 Thirty-five years ago, Wales had a mere handful of breeding pairs of Red Kites (Milvus milvus), a fact that’s hard to believe when you spend the afternoon at Gigrin Farm with a spiralling mass of over 500 of these beautiful raptors filling the sky at feeding time (can be less or a lot more depending on the weather and time of year). 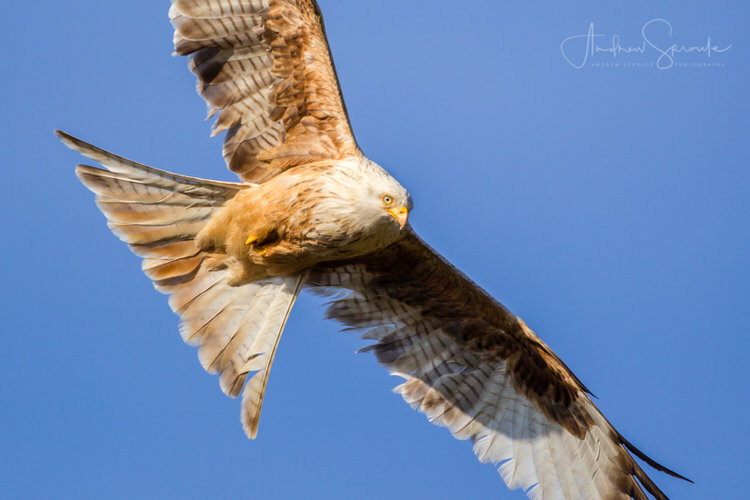 Feeding stations have become an important element in the RSPB’s Red Kite conservation programme and since 1992 when Gigrin Farm was first approached, it’s been playing its’ very important role extremely successfully. 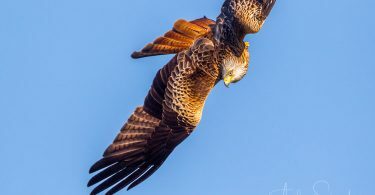 Now a true Welsh tourist attraction, Gigrin Farm is owned and run by Chris and Dominique Powell. 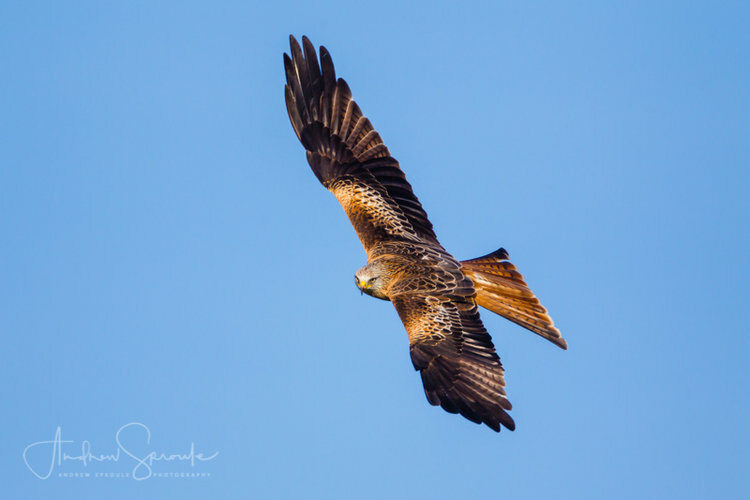 It consists of 200 acres of land starting at 700 feet and rising to 1,200 above sea level, located in Rhayader in the Wye and Elan valleys in mid-Wales. 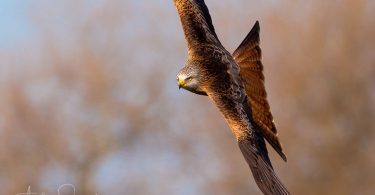 Gigrin Farm is also a Red Kite Rehabilitation Centre in conjunction with The Welsh Kite Trust. 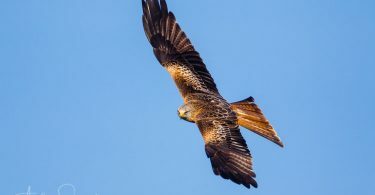 This unit allows kites, that have fallen ill or been injured, to recuperate after having any required veterinary care elsewhere. 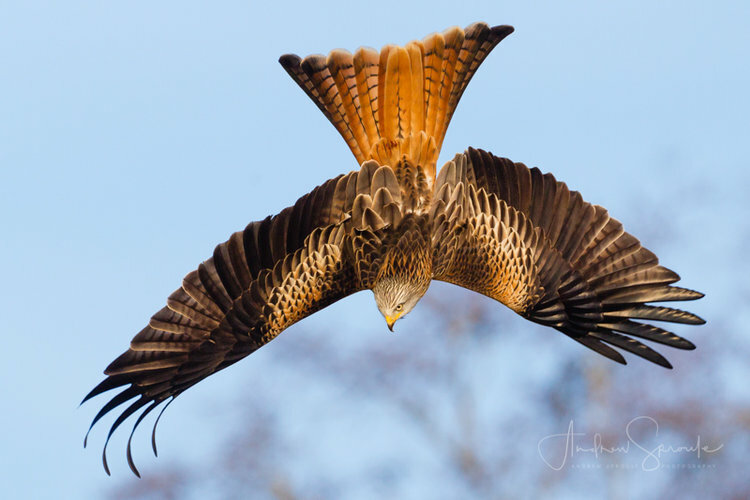 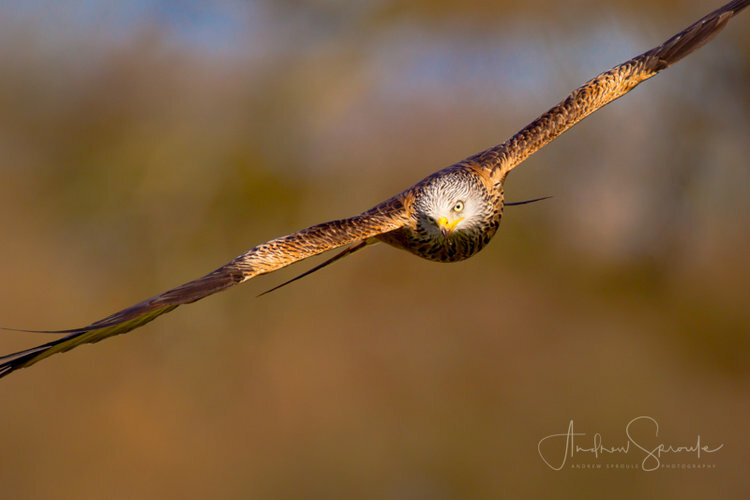 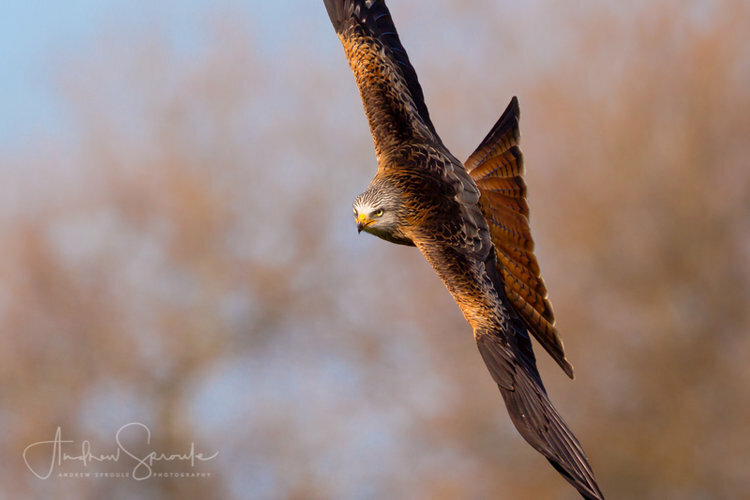 Red Kites are instantly recognisable in flight with their distinctive forked tails (fanned when diving) and striking colour, which is predominantly chestnut red with white patches under the wings and a pale grey head. 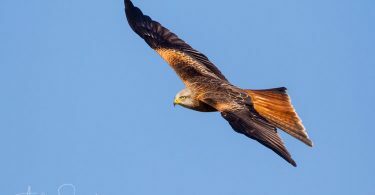 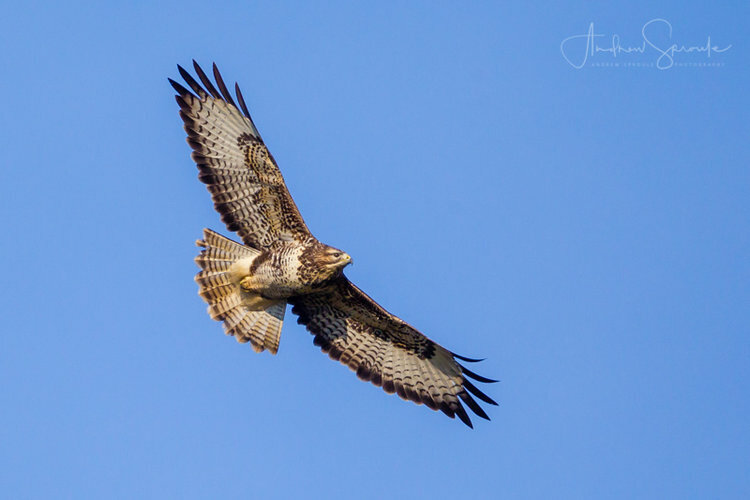 It’s a medium-large bird of prey (females being slightly larger then the males), in the family Accipitridae which also includes many other raptors such as eagles, buzzards and harriers. 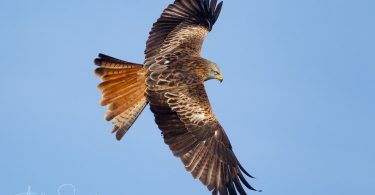 Vagrant Red Kites have even reached north to Finland and south to Israel, Libya and Gambia. 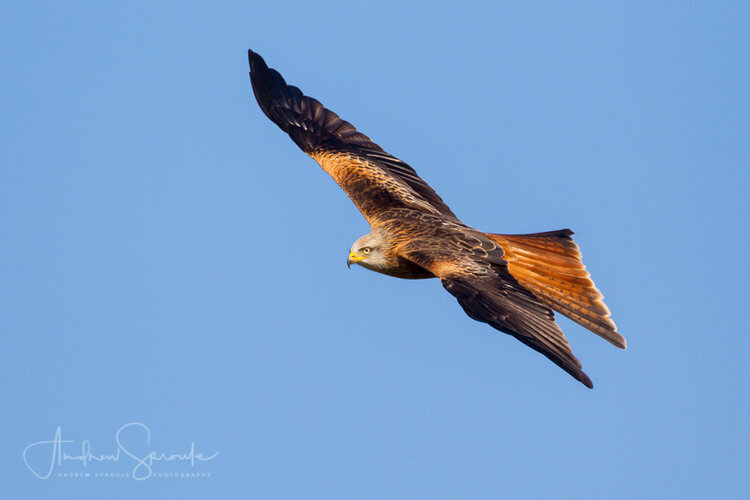 When the feeding starts there is definitely a pecking order (less so in the winter), with the older birds going first, followed by the younger and then juvenile birds. 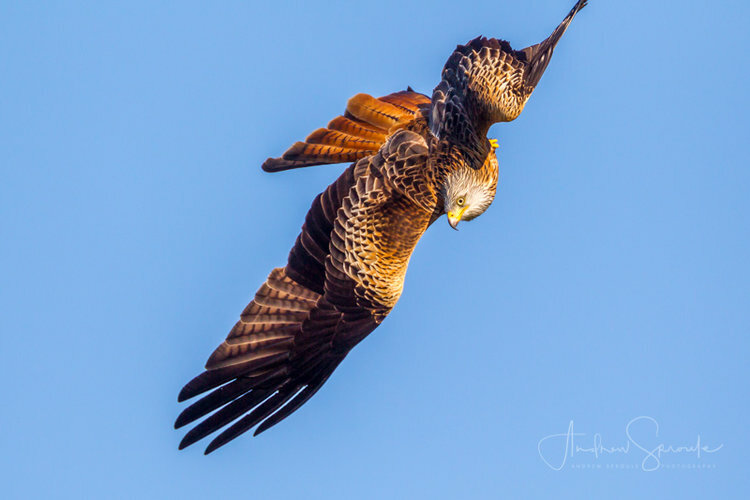 Onlookers witness some spectacular aerial acrobatics, with amazing displays of twists, turns, diving and feeding on the wing. 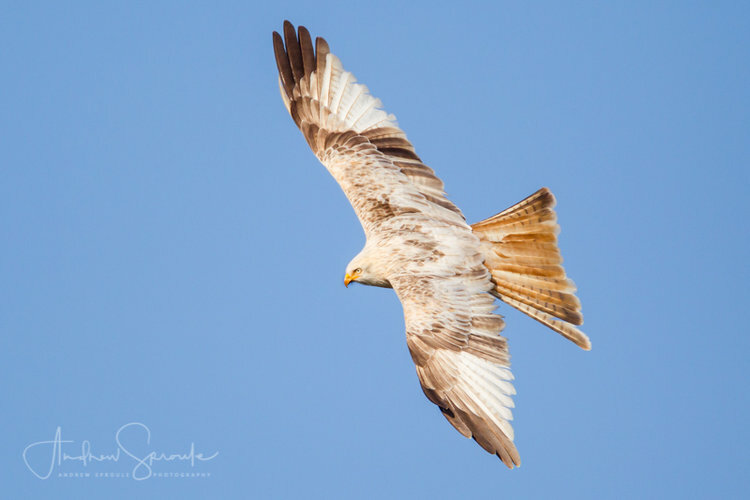 Frequent visitors to the feeding station include a pair of white or Leucistic (reduced pigment) Red Kites. 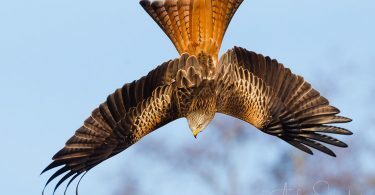 Normally, this would be a distinct disadvantage in the wild but they’ve been accepted here by the other raptors. 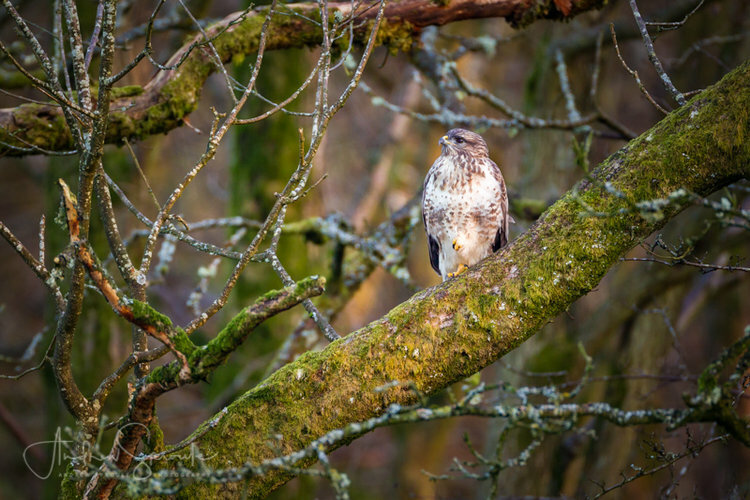 Expect to also see Carrion Crows, Ravens, Rooks, Common Buzzard and Heron, as they also frequent the feeding station. 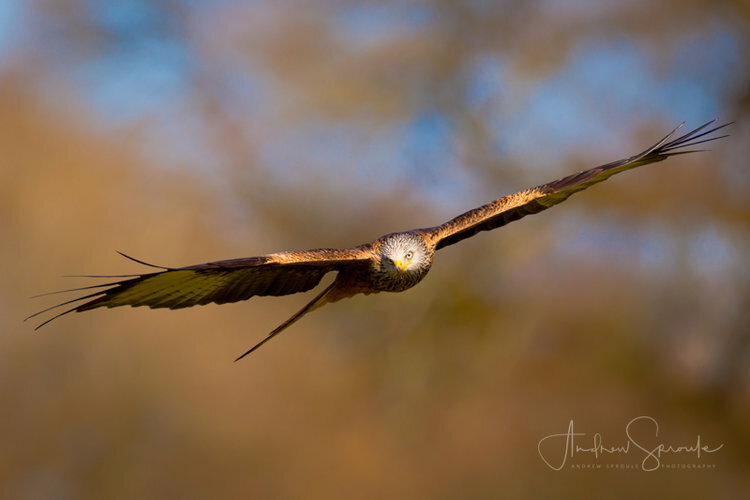 About the Author: Prior to setting up as a professional photographer, Andrew Sproule had a career heading up a number of highly successful in-house creative design and photography studios. 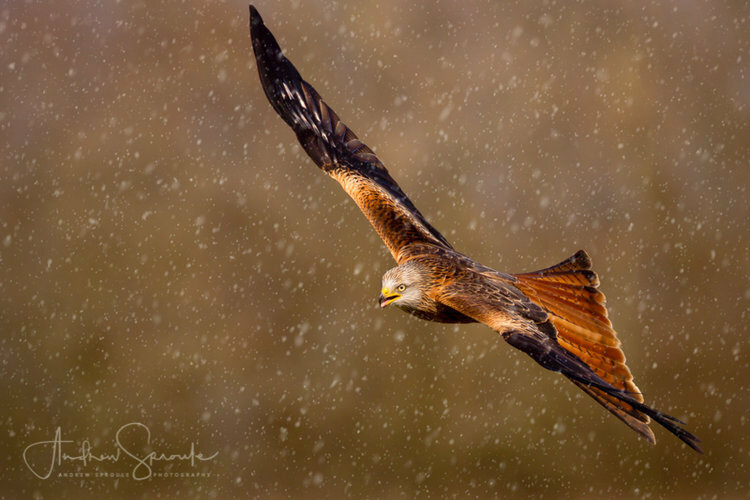 The decision to set up Andrew Sproule Photography, and Vue.Dog (Dog Photography) was triggered by a trip to Botswana.